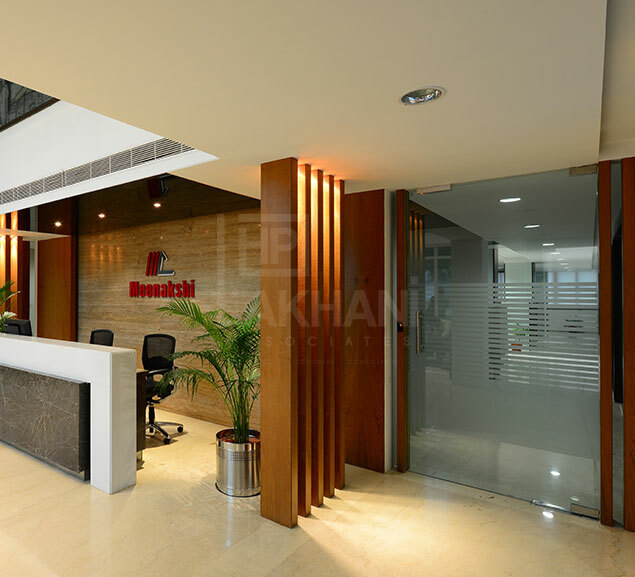 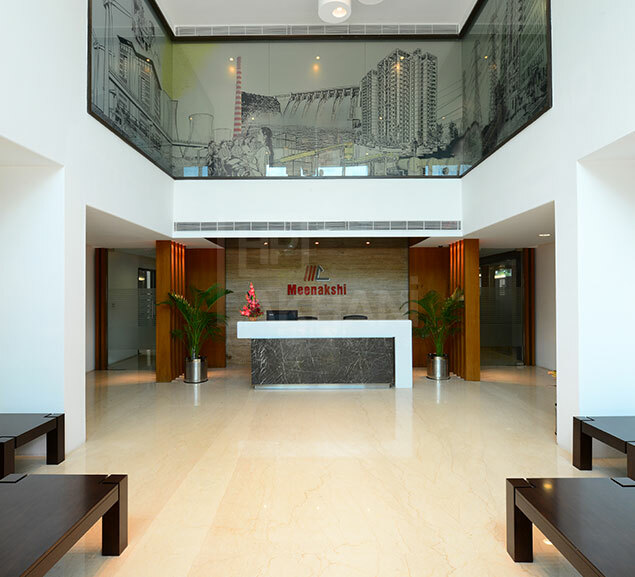 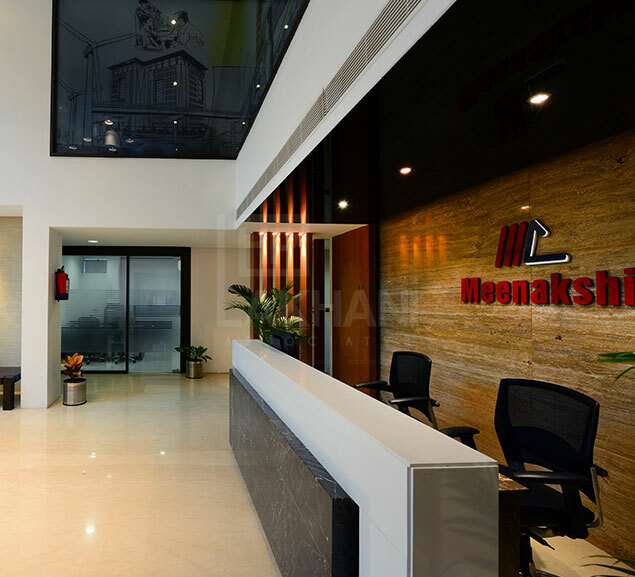 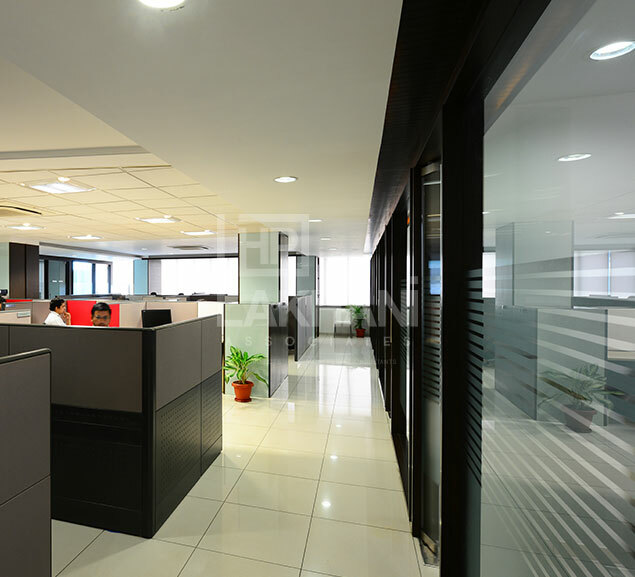 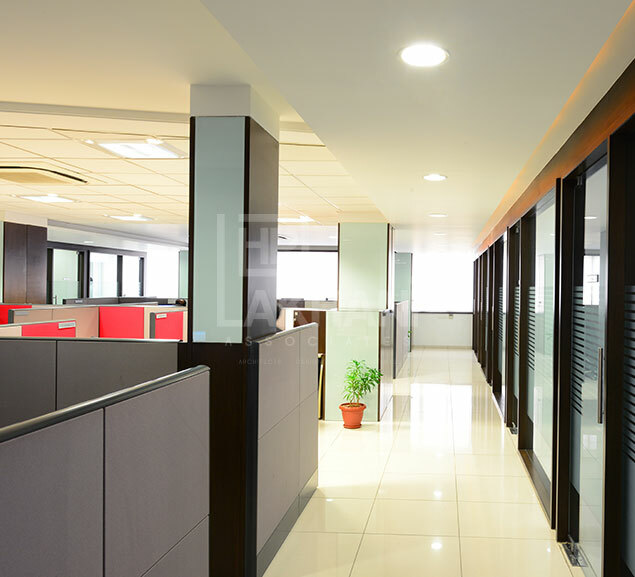 We undertook the work of extensively planning and designing the Head Office of a leading Construction and Developers Company in Hyderabad. 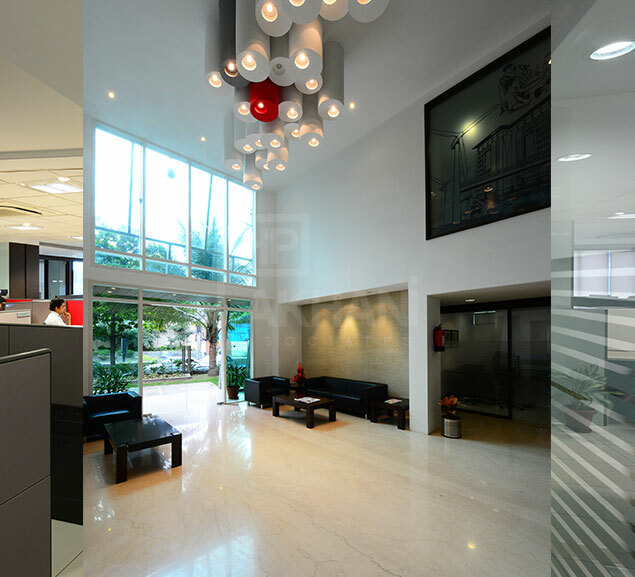 The interiors reflected a healthy work atmosphere with intent to make a statement that would impact potential customers’ of our client, who were in the quest of a dream home. 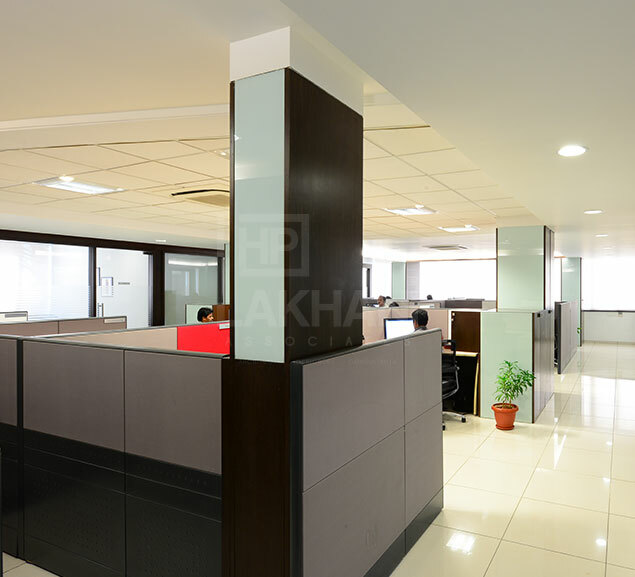 In our design, a linear plan with workstations in the centre and the private cabins in the periphery were created to make good space usage and increase work efficiency. 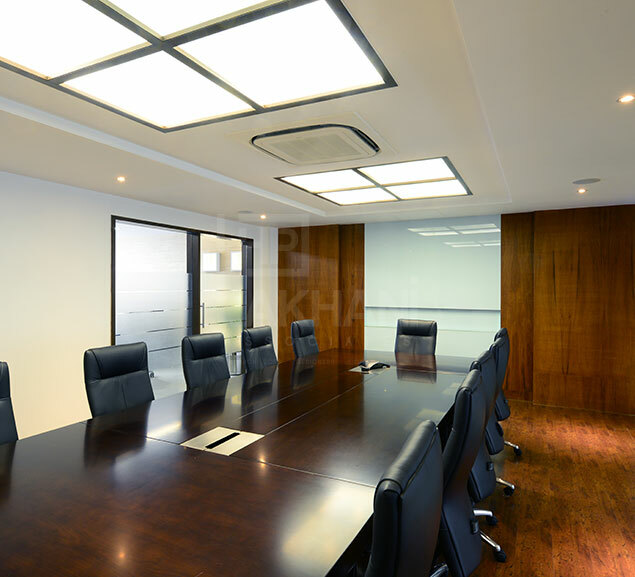 The cabins were fitted with translucent glass walls to allow natural light to filter through to the central core of the room but still provide adequate privacy for the cabins. 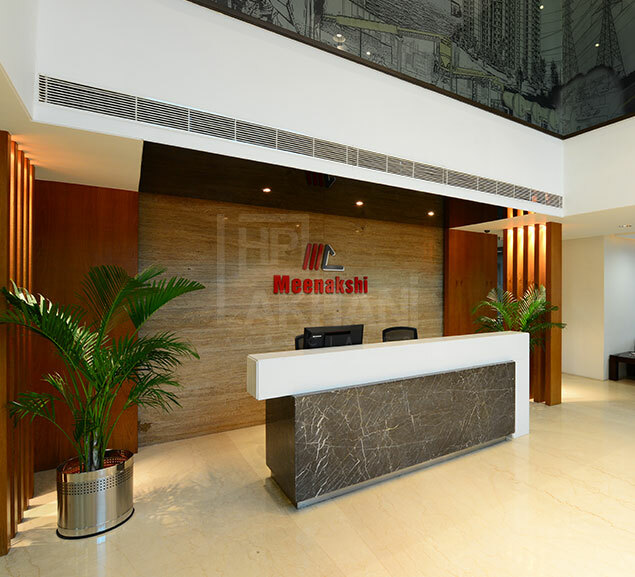 Modular ergonomic furniture provided for a high-degree of flexibility, durability and versatility, creating a humanistic working space that enhances morale, increases efficiency, representing the most advanced present-day office-working-style. 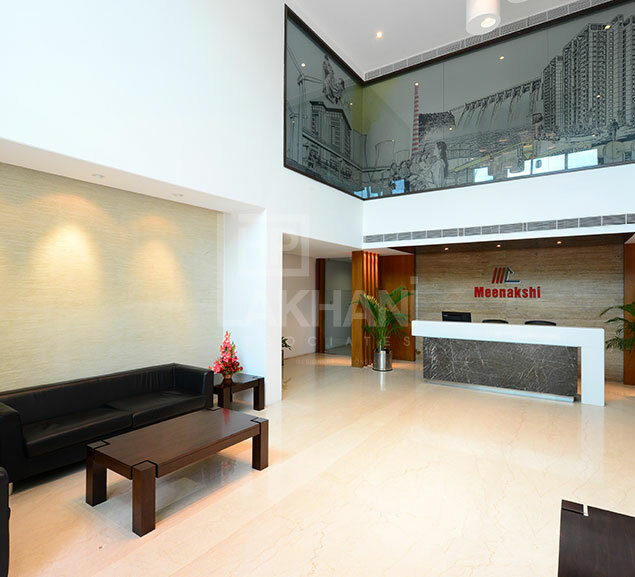 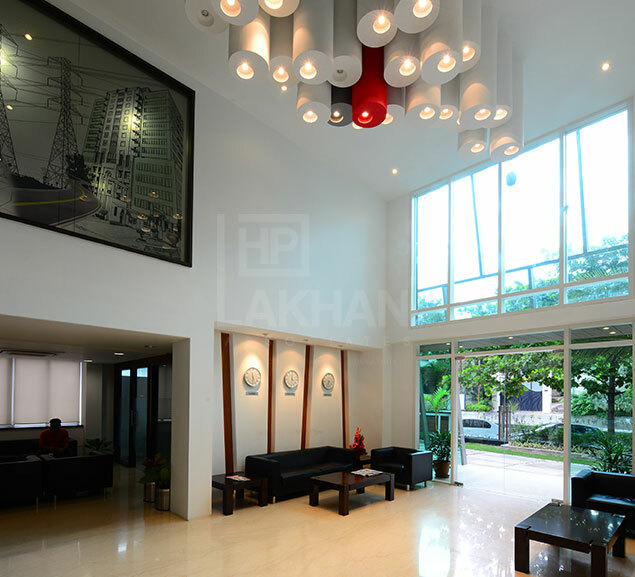 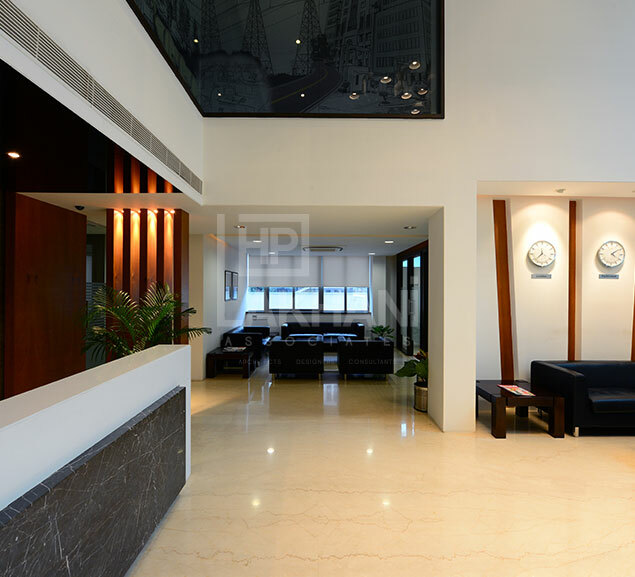 The entrance lobby is a double-heighted space that is warm, welcoming and majestic collectively. 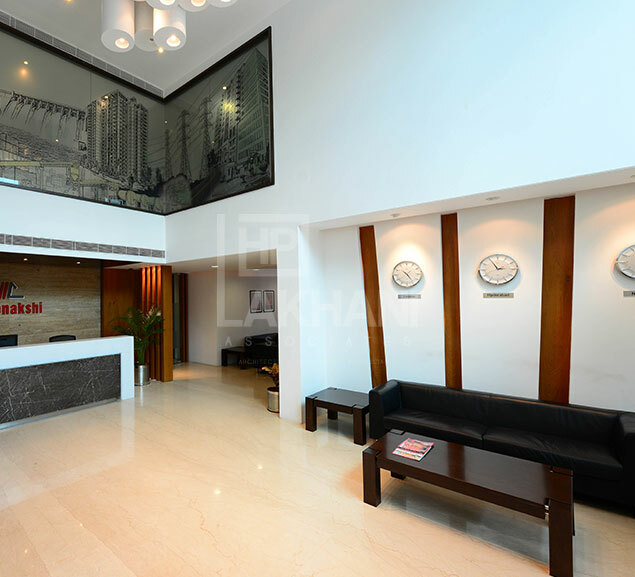 An interesting graphic representation of some of the works undertaken by the client has been put on the glass wall at the first-floor level overlooking the lobby area.